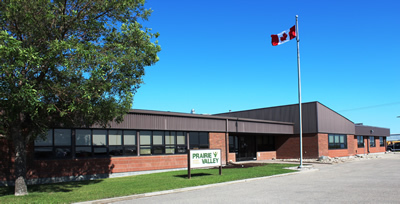 Prairie Valley School Division has completed the third phase of a comprehensive review of its transportation system. The review took place over three years. The first phase, involving the Whitewood, Broadview, Grenfell, Wolseley, Kipling and Kennedy attendance/transportation areas, was completed in the spring of 2011. Phase 2 involved the attendance areas of Sedley, Vibank, Mclean, Fort Qu’Appelle and Balcarres and will be was completed in 2012. The third phase included the attendence areas of Southey, Cupar, Lipton, Kelliher, Edenwold, Pilot Butte, Balgonie, White City, Regina Beach, Bethune, Lumsden, Grand Coulee, Pense, Milestone and the west boundary of McLean and was completed in spring of 2013. The goal of the transportation review is to make improvements to bus routes and ride times and in some cases minor adjustments to attendance area boundaries. The guidelines for the review included the design of safe and efficient bus routes, the establishment of defined ride time guidelines and minimizing ride times for students to the extent possible. In each phase of the review, an analysis of the current routes was completed and potential changes to the attendance boundaries drafted. Staff reviewed and considered feedback from families and have now finalizing the boundaries for the final phase of the review. It is important to note that any families impacted by boundary changes will have the option of attending within the new boundary or being grandfathered into the original boundary to avoid disruption for students. The attendence areas listed below are the result of the phase 3 review which was recently completed. All new attendence areas take effect in fall 2013.